The Kubota Grand L3560 fits right into that deluxe, capable budget-friendly tractor niche. We had a chance to spend some time with the new 2018 Massey Ferguson 6713 � the flagship of the new Global Series. 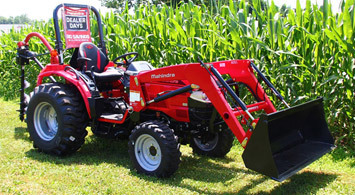 The Mahindra eMax 20 is an ultra-competitive subcompact tractor perfect for the first-time homeowner.